Starting from this August 21st, The World Taekwondo Hanmadang will be held for four days involving 3,300 players. The 2014 World Taekwondo Hanmadang Organizing Committee(Chairman IlMoon Kim) and Pohang city plan to make this event as an opportunity to advertise and inform players from over 53 nations around the world of the history and culture of Pohang city. 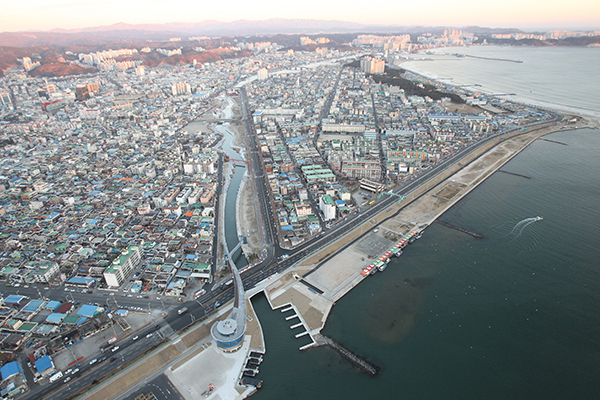 "Pohang city was once a small fishing village with a population of 50,000 people. Since the first division of the Marine Corps has been stationed here, Pohang has been recognized as a military city. Additionally in the late 1960's with the foundation of the steel company POSCO, the image of the city became much stronger as a steel city. However, in contrast with the image that was made until now Pohang has taken the role of an important city in various fields including history and culture. This time we aim to focus on introducing the long historical, cultural and traditional sides of Pohang city." Pohang city is also supporting the committee's plan with various tourism programs that were made for players. 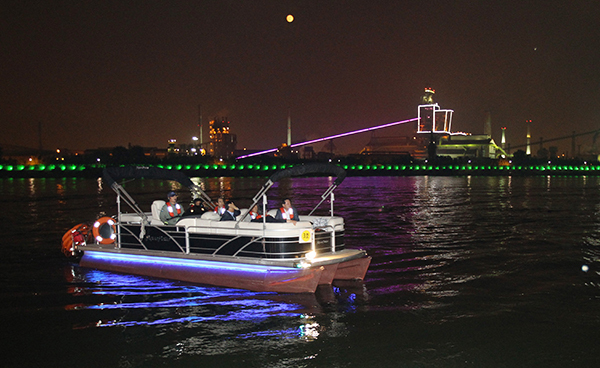 The city has set up tours that help visitors to enjoy famous tourism attractions and delicious food of Pohang city. Famous tourism attractions that were chosen are Homigot which has the earliest sunrise of Korea and a story of lovers YeonO-Rang SeO-Nyeos, the recently made Pohang Canal and Youngil-dae beach. Jukdo market, POSCO and Saemaeul Memorial Hall are also included in the tourist attractions. Pohang city will provide five city tour buses that will visit the different attractions. For those who are not available for city tours, the city is also allowing to partner with players to help with the tours. Besides the tour, the gala show of Taekwondo Hanmadang based on the story of YeonO-Rang SeO-Nyeos will point to the historical side of Pohang which shows the relationship between Korea and Japan during the early Silla Dynasty. 2014태권도한마당조직위(위원장 김일문)와 포항시는 오는 21일부터 나흘간 세계 53개국에서 3천300여명의 선수단을 상대로 포항의 역사와 문화를 알리는 기회로 삼을 계획이다. 김일문 위원장은 "포항은 인구 5만의 자그마한 어촌마을에서 해병대 1사단이 주둔하면서 군사도시로, 1960년대 말 포스코가 가동하기 시작하면서 철강도시라는 강인한 이미지만으로 각인돼 왔었다. "며 "이번 대회를 통해 포항이 삼국시대 이래 한국 역사의 한 부분을 차지할 만큼 오랜 역사와 문화, 전통을 갖고 있는 도시임을 알릴 수 있도록 주력하겠다"고 밝혔다. 포항시도 이같은 조직위의 기본 방침에 힘을 보탤 계획이다. 우선 시는 포항의 역사와 문화를 제대로 알리기 위해 포항의 명소와 먹거리를 즐길 수 있는 투어코스를 정하고, 선수단이 자유롭게 이용할 수 있는 시티투어를 준비해 놓았다. 시는 먼저 연오랑 세오녀 이야기의 무대이자 한반도에서 가장 먼저 해가 뜨는 호미곶과 포항의 새로운 관광명소가 된 포항운하 및 영일대해수욕장을 명소로 정했다. 또한 한국 산업화의 초석을 다진 포스코와 현대정신문화 혁명과 잘사는 한국의 근간을 이룬 기계면 문성리 새마을기념관, 그리고 동해안 최대시장인 죽도시장 투어 등을 꼽았다. 시는 버스 5대를 투입해 포스코-호미곶-포항운하-영일대-죽도시장을 잇는 1코스, 포스코-포항운하-영일대-죽도시장을 잇는 2코스, 새마을기념관-포항운하-영일대-죽도시장을 잇는 3코스 등 3코스의 시티투어를 마련, 선수단의 스케줄에 맞춰 둘러볼 수 있도록 한다는 방침이다. 또 시티투어버스를 이용하기 어려운 선수단을 위해 포항시내 110여개 태권도장과 선수단간 자매결연을 맺고 시티투어를 할 수 있도록 조치했다. 이 투어는 같은 태권도인들간의 교류도 가능한 데다 지역 태권도인들의 적극적인 참여도 이끌어 낼 수 있을 것으로 기대된다. 특히 국기원과 조직위가 이번 대회를 앞두고 가장 고심했던 태권갈라쇼의 주제가 '연오랑 세오녀이야기'에 바탕을 두고 있다는 점에서 신라초기 한일관계의 중심지였던 포항의 역사적 의미를 되살릴 수 있을 전망이다.